Want to visit an auto financing department for a car loan or RAM, Jeep, Dodge and Chrysler lease where everyone loves what they do and works as hard as they can to find you the best rates possible? 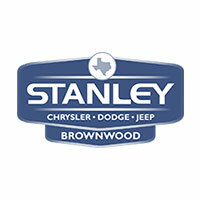 We hope you answered yes, because Stanley Chrysler Dodge Jeep Ram Brownwood has a car loan and lease center where you can feel the excitement. We take the time to explain all of the auto financing terms to you so you understand just what to expect from your car loan or lease. Complete the form below and we will be in touch to start the auto financing process right away. If you are approved for financing there is no obligation to buy. Stop by our new RAM, Dodge, Jeep and Chrysler dealership and car service center at 1003 W Commerce St., Brownwood, TX, or shop online. Our auto financing department is happy to serve anyone from the greater Lampasas, Stephenville and Eastland, TX area and beyond.